We want a diverse, passionate and skilled workforce that encourages, inspires and supports people to play cricket. Officials, Umpires and Scorers play an essential role in supporting the playing of cricket throughout England & Wales. The Wales Association of Cricket Officials (WACO) is the County Body responsible for Umpires and Scorers in Wales. Through its network of branches WACO works closely with leagues to train, appoint and support umpires and scorers. For as long as cricket has been played, one of the most important factors responsible for the quality of play and quality of player experience is the surface on which the game is played. 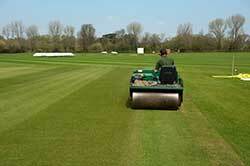 There are four County Groundstaff Associations (CGA’s) in Wales providing support for clubs and their Groundstaff. The ECB’s Essential Guide to Groundsmanship provides practical guidance for cricket club volunteers on preparing and maintaining your ground Click here for ECB’s Essential Guide. To advise on the quality performance of specific pitches and make recommendations. To monitor the developments of any facilities on which recommendations are being implemented. Be available, if required, to assess pitches / squares in respect of various league criteria. Create a response team for basic assessments (perhaps annual). Help build an effective CGA. Coaches play a vital role in creating an environment that ensures players are enthused, motivated and able to develop. Cricket Wales works closely with the ECB to provide a range of Coach Education and Development opportunities for people looking to take part in cricket as a coach, in a support role, or to develop skills and knowledge to enable them to deliver cricket in a school, club, community or performance setting.